Anthony Joshua and Joseph Parker will fight in a heavyweight title-unification on March 31 in Cardiff, Wales. It's a humongous stadium for a really big fight, with two undefeated titleholders in their twenties doing battle in a unification setting. Joshua, the IBF and WBA champion, has knocked out all 20 of his opponents, last fighting in this stadium in a 10th-round stoppage of Carlos Takam. Parker, the 26-year old WBO champion in unbeaten in 24 fights and while a steep underdog, he is a talented fighter who is not without hope. Let's see what we can come up with in this Joshua-Parker betting preview. Joshua, the gold medal Olympic champion in 2012, has stopped all 20 of his opponents. You can't ask much more than that. He has registered 4 defenses of his title and last fought in October with the win over Takam. He is built like an Adonis at 6'6" and about 240-245 pounds. He wields an 82-inch reach. A 2017 win over former longtime champion Wladimir Klitschko is his best win, when he rose from the canvas to register an 11th-round TKO. At 28, a lot of people consider him the best heavyweight in the world. Parker is just 26, a New Zealander of Samoan heritage who has defeated all 24 of his opponents. He has a nice amateur background, though not with the accolades that Joshua has. He beat some good fighters on his rise to the top, including Carlos Takam and Alexander Dimitrenko before getting a shot at the vacant WBO title, beating Andy Ruiz to earn his first belt. A decision win over rugged Razvan Cojanu and a close win over unbeaten Hughie Fury followed, his last fight coming in September. While some of his recent showings weren't all that dominant, Parker is a young and rising commodity, one who offers tremendous upside at this underdog price. Parker has youth on his side and some stylistic components that could serve him well, even at this level. He has good stamina and brings it for three minutes a round. He appears to be durable and he goes to the body well. His toolbox is varied, as he has all the punches at his disposal. He's been tucked away on the other side of the world and there is a chance that his locale and recent performances has made him a fighter that people feel they have the license to overlook. That could be a mistake. In his last fight with Fury, Parker was fortunate to earn a majority decision, getting a lot of credit by two of the judges. He also only beat Ruiz by majority decision. His last three fights have all gone the distance. Some of the things he does well have been muted, partially with the stakes rising and a more-cautious approach as a result. Those fighters also didn't match up particularly well with Parker. Fury's long-range style and excellent movement made it so Parker couldn't really get untracked. I see Parker's timing, movement, and overall athleticism boding a little better against a more-stationary Joshua. He could be a better fighter in the right spot and perhaps he's been made to look worse than he is in recent fights. To portray Joshua in a negative light isn't easy to do. He has delivered a knockout in every fight. Against Klitschko, he showed he isn't a frontrunner, rising from the deck when he looked beaten to stop the Ukrainian legend in round 11. He is smart, resourceful, well-conditioned, and a serious player in this division. He even looks like a heavyweight champion, a perfectly-proportioned fighter who is as strong as they come. When connected upon solidly, opponents are often sent sprawling and they completely lose their composure. I don't think Joshua is overrated necessarily. To say he's the best heavyweight in the world is a defensible position. It's just that we've gotten to a point in the sport where some champions are still works-in-progress. Joshua is a gold medal winner and a champion with several defenses under his belt. I'm just not sure he's the foolproof monster that the odds suggest he is. Even for this fight, he's getting Tyson-like odds in his favor, but does he really fit the bill? First of all, Joshua can be hurt. Dillian Whyte had him doing a dance and Klitschko very nearly got him out of there in what was his last fight before retirement. There is an undeniable lumbering quality to the champion. He's not all that swift. Joshua is also very available. His offense and movement are viable means of defense, but his lack of upper-body movement could make him a target as he fights his top contemporaries. But he makes up for it with sheer explosiveness. And with that power, he's never out of a fight. Before making too much of a case for Parker, let's acknowledge his drawbacks. While athletic, he's not terribly fluid. His best wins are either against fighters on the decline or hairline wins over guys like Takam, Ruiz, and Fury. A little help from the judges hasn't hurt. But in this spot, he's on the road in a stadium that holds 80K and he's the definite B-side of the equation. He has shown more passivity in the ring in recent outings, as his fearsomeness has waned as he rises in class. One would liked to have seen more-conclusive wins for Parker leading up to this spot. I just think we're at a unique time in heavyweight history where there are gaps between perception and reality. I think people rate the two most highly-regarded heavyweights Deontay Wilder and Anthony Joshua too highly and that some upsets could happen. If Joshua were to emerge victorious in this spot, it wouldn't be all that surprising. I just think at -1000, Joshua as a pick holds almost no wagering value. I think Parker's chances far outweigh his odds and I'm taking the New Zealander. 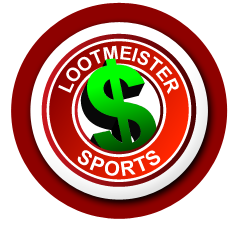 Loot's Pick to Win the Fight: I'm betting on Joseph Parker at +650. Bet this fight for FREE by taking advantage of a massive 100% sign-up bonus on your first deposit of $100 to $500 at GTBets!